So let me begin explaining the inner workings of an off-grid solar system. This simplistic picture from Wholesale Solar’s homepage explains the concept very well. 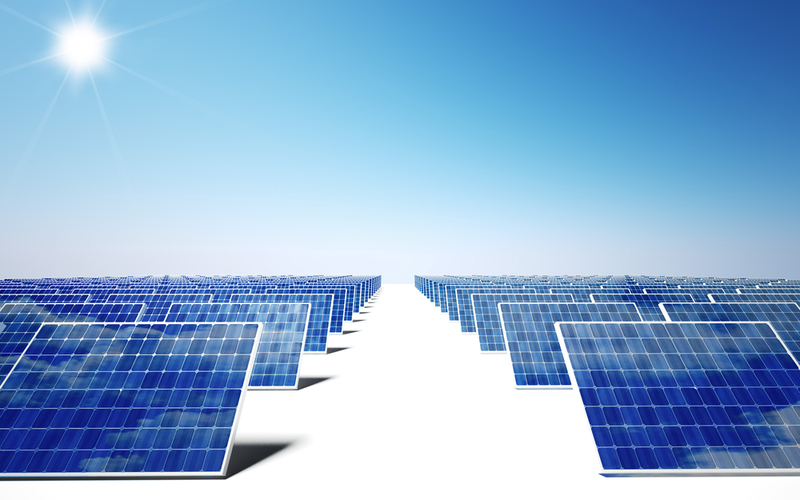 The solar panels (often referred to as PV (photo voltaic) modules) produce energy when the sun is shining directly on them (much less so with ambient light). The current flows thru a charge controller that – as the name implies – controls the charging of the battery bank so they don’t overcharge. The batteries should store enough energy to power your house for several days and nights without being recharged. An inverter is connected to the batteries and transform DC voltage (typically 12/24/48v DC) to normal standard 120/240v AC. 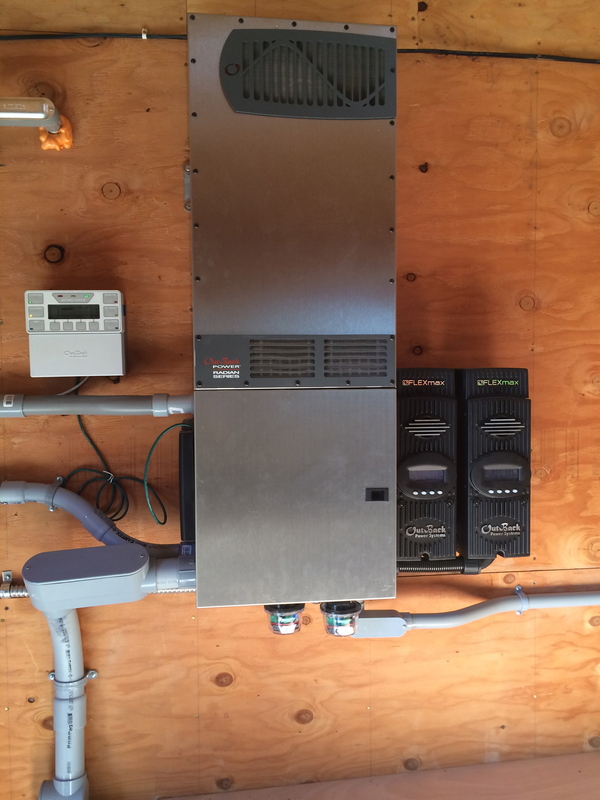 The inverter is connected to a standard electrical panel from where the power is distributed into your house. 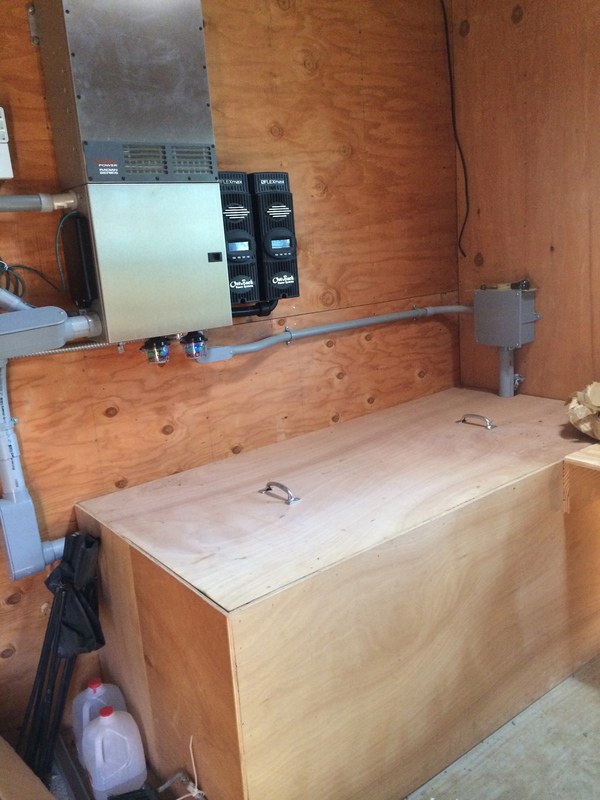 Most off-grid systems have a generator connected to the inverter that allows you to both charge the batteries and produce enough power to supply the house in case the batteries are running low. How big should the inverter be to support my house? So before we can figure out how many solar panels and batteries are needed, we need to estimate the average daily power consumption. My old city house (1,400 sq. ft) used on average 14 kW-hours per day on a yearly average. Up to 18 kW-hours in the summer because of A/C and refrigeration and down to 10 kW-hours in the winter. I’m sure you can find an energy worksheet on the net somewhere but most people don’t know how much power each appliance consume nor has any interest in finding out in detail. 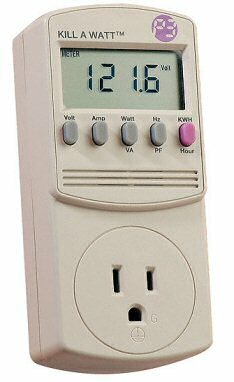 I did buy this kill-a-watt meter that allows you to measure each appliance in your house hold. I was however building a new house so how could I know for sure? As it turns out my new house (3,500 sq. ft.) with state-of the-art low energy appliances uses less power than my old house. On an average day I use about 10 kW-hours incl. well pumps etc. My PV array should on the shortest day of the year (5 hours of effective charging) produce at least 10 kW-hours. 10 kW-hours / 5 hours charging is a 2 kW PV array. Add about 25% to this number (as your array will not charge with it’s nominal wattage) and you get to 2.5 kW. This would be the absolute minimum. I installed 24 panels from SolarWorld with a nominal rating of 255 Watts or 6.2 kW. I get a maximum of 5 kW out around noon and cumulative on December 25th I produced 25 kW-hours. It should also be noted that on a overcast day my array produces a maximum of about 2,5 kW-Hours – only about 10% of the capacity on a sunny day. So next question – how many batteries to I need? Since the batteries is the most expensive component of your off-grid system ($1,000+ per battery) you don’t want too many nor too few. Also with a generator installed as a backup you don’t have to have candlelight dinners if you run out of battery power. I chose to install 12 4v cells from Surrette Batteries giving me a 48v battery bank with 1,350 Amp-hours capacity or 65 kW-hours. That should (in theory) give me power to about 7 consecutive overcast days. 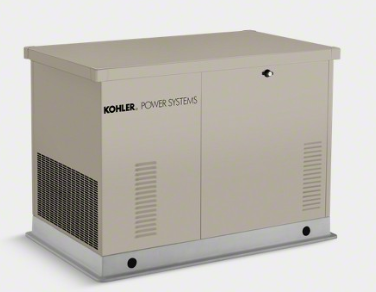 My charge controller is programmed to start the generator – a 8.5 kW rated Kohler propane generator, when the batteries state of charge (SOC) is down to 50%. Charging 30 kW-hours while also supplying the house takes only 4-5 hours. 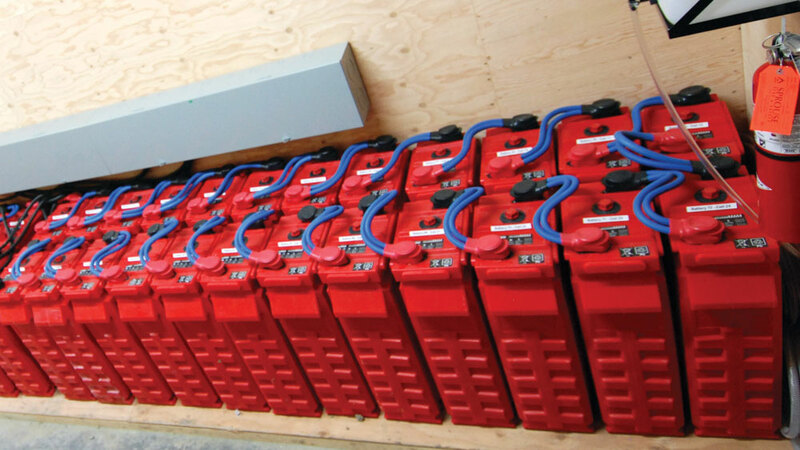 So to answer the last question in this post – how big should my inverter be? Here comes the first off-grid life-style compromise: If you insist on running the A/C, dishwasher, washing machine, vacuum etc. 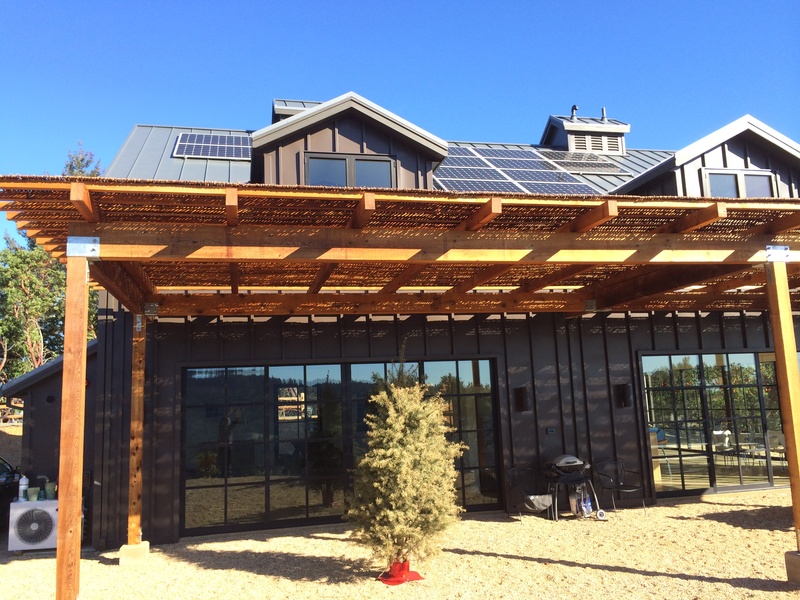 simultaneously – off-grid is probably not for you or your system/inverter needs to be huge! All the appliances above have motors in them – motors are bad news and they are everywhere 😉 When they start they have a surge that will kill your inverter and create a brown-out or worse a black out if the inverter is already heavily loaded. If you however believe you can run the appliances over the course of the day (when your batteries are fully charged – you have heaps of energy that’s otherwise being wasted) your maximum load will not be that high. I installed Outback’s new Radian Inverter. It produces 8 kW continuously and at least twice that for a short spike (motors starting). So far I’ve only seen a max load of 3.8 kW here so plenty of capacity to spare. 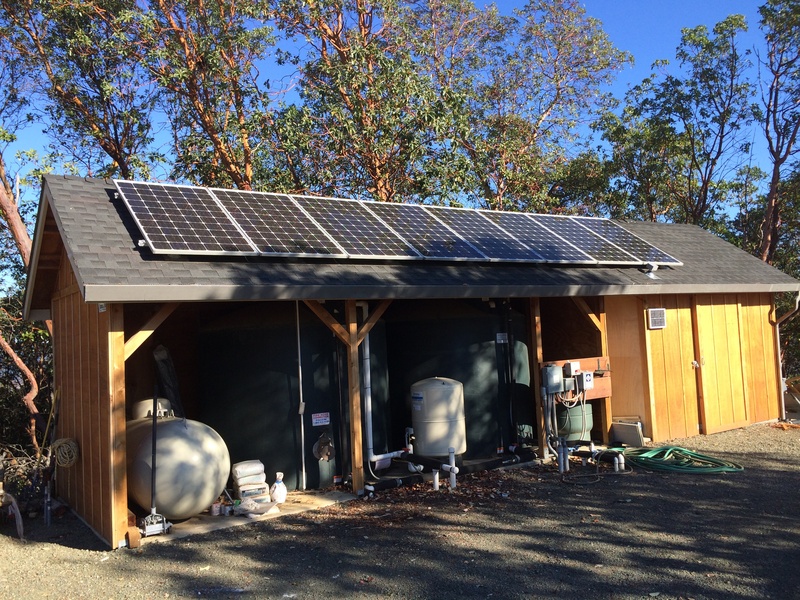 The total cost of this system is less than $50,000 including installation and before tax credits.So far less than the original $700,000 PG&E quoted me.